The Harding Academy A Cappella Chorus and Senior Wind Ensemble traveled to Walt Disney World in Orlando, FL March 5-10 to perform in the Disney Magic Music performances. Both groups had wonderful performances at Disney Springs on Friday, March 8th at the Riverview and Marketplace stages. 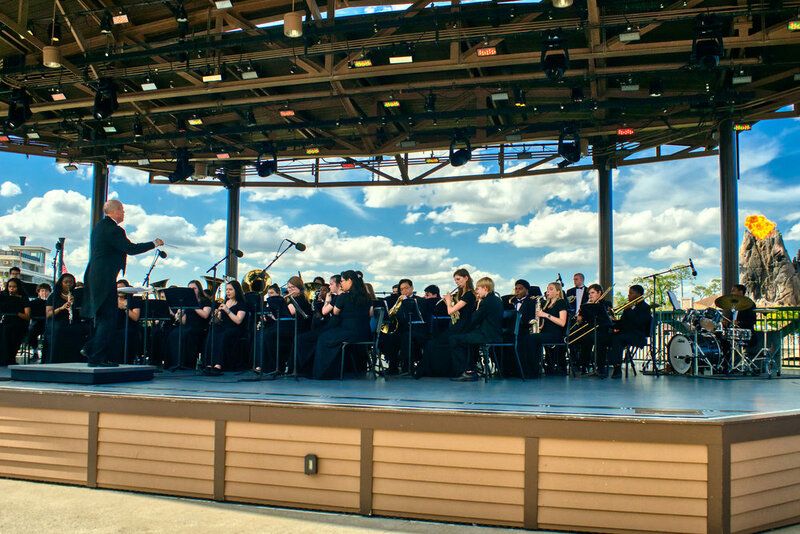 The Band and Chorus continue a tradition of performing at Disney World that has been going on since the 1980’s. Thanks to so many who supported and continue to support the band and chorus!